Heart Rate Variability Biofeedback (HRVB) empowers clients to improve their emotional self-regulation. HRVB professionals regularly use quantitative and graphic methods of analysis of heart rate to help their clients understand their own physiological status and the relationship between autonomic function and well-being. This didactic presentation will use actual pre-post HRVB data from patients with PTSD to illustrate how acquisition of the skill of self-regulation through HRVB affects heart rate patterns and screen displays. Coherence is the term used currently to refer to the 0.1 Hz HRV peak, which indicative of optimum HRV that results from synchronization of baroreflex and vagal afference. HRV clinical applications and research focus on Coherence as an index of adaptability. Methods of quantifying Coherence from a typical HR tachygram will be explained. 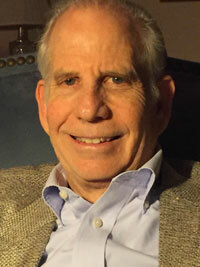 Dr. JP (Jack) Ginsberg, PhD holds appointments as a Licensed Clinical Psychologist/Neuropsychologist and Research Health Scientist at the Dorn VA Medical Center, and as Basic Science Research Assistant Professor at the USC School of Medicine, in Columbia, SC. He is an advocate for integrative management of PTSD and pain using Autonomic Self-Regulation as a mind-body treatment. He has authored or co-authored more than 30 peer-reviewed scientific publications and edited or reviewed numerous published scientific articles. Dr. Ginsberg has given invited presentations on HRV and HRVB at scientific meetings, academic seminars, and cyber-seminars. His research interest focuses on autonomic dysregulating effects of PTSD on orienting and early information processing and he has been a Principal Investigator and Co-Investigator on research grants funded by DoD, NIH, and the VA. Currently Dr. Ginsberg is a committee member for the VA developing standards of practice of HRVB for community practitioners treating Veterans.